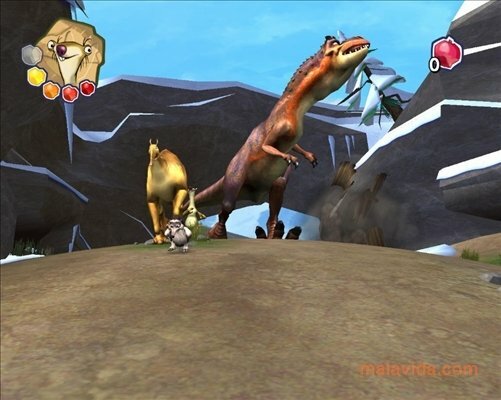 Our friends from Ice Age have already lived all kinds of adventures, but now they are going to meet some new friends, that are a little less docile and friendly: the dinosaurs. 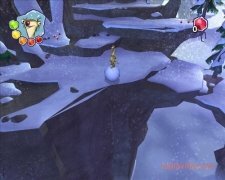 In Ice Age 3 Dawn of the Dinosaurs we'll have to overcome all the tests that we come across, like escaping from the tyrannosaurus during a stampede, so that he doesn't eat us, descend a mountain inside a dinosaur egg, while we avoid it breaking, or discovering the secrets that the pterodactyl may be hiding. 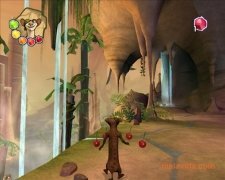 The game has several difficulty levels, making it a good game for people of all ages, and a graphical environment that is really colorful and dynamic, being very similar to the original cinema saga. Accompany Manny, Diego and Sid in their adventures, and make sure that they don't end up in a dinosaur's stomach, while also making sure that they don't create any more havoc than necessary. The game also allows the player to play with Scrat, the squirrel, and two totally new characters, Scratte and Buck. 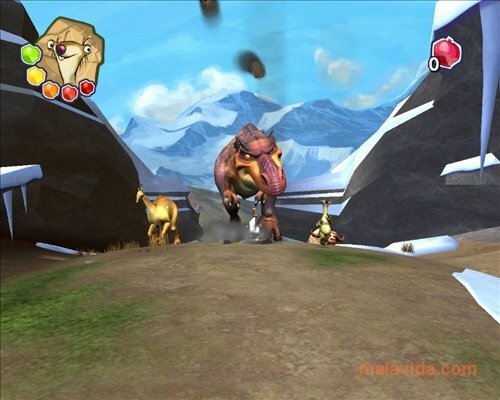 Enjoy the first levels in this demo of Ice Age 3 Dawn of the Dinosaurs. 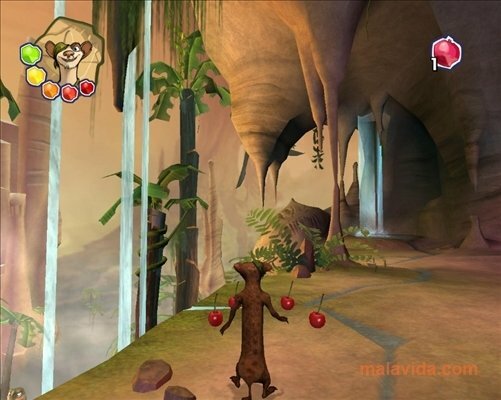 The demo allows you to play the first three levels of the game.